Watch your pups play while you’re away! Click on the button below to access our webcams. If you don’t already have a password, you will need to contact Tuxedo’s K9 Training Camp for one. Viewing hours are 6am – 9pm daily. The cameras are offline during the hours of 12:00 pm – 2:00 pm for potty and lunch breaks, as well as playroom rotations. For technical support, please contact our Webcam provider, Online Doggy. 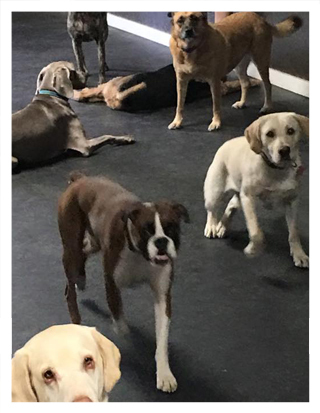 You can reach them by email, usersupport@onlinedoggy.com, by phone at 866-929-0919, or visit their website at onlinedoggy.com To view our webcam from your mobile Android or Apple devices and phones you will need to use the Odoggy app. Visit onlinedoggy.com for more information. For additional troubleshooting, you can visit their support page.